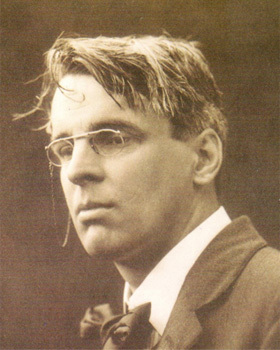 28th January 1939: The Death of William Butler Yeats. Dearly beloved, we are gathered here today to mourn the death and celebrate the life of William Butler Yeats. Poet and politician, mystic and modernist, revolutionary and traditionalist, WB Yeats lived a life filled with glorious contradiction. A man of rare wisdom and questionable judgment, his Nobel Prize-winning poetry graces us with some of the 20th century’s most enduring imagery. Steeped in mythological symbolism — mostly Celtic, but drawing also on the mythpoetry of Greece, Rome and beyond — the spellbinding blend of mysticism, contemporary commentary and Romanticism provided Ireland, and the wider world, with a truly illuminating voice (as well as revealing the debt this Irish poet owed to his English inspiration, William Blake).